420 Science is a great innovator; what we are able to say is that the company is synonymous with high tech products, working as they do with some of the most well-known names in the industry to bring you the best product to help you enjoy the pleasure of smoking or vaping. 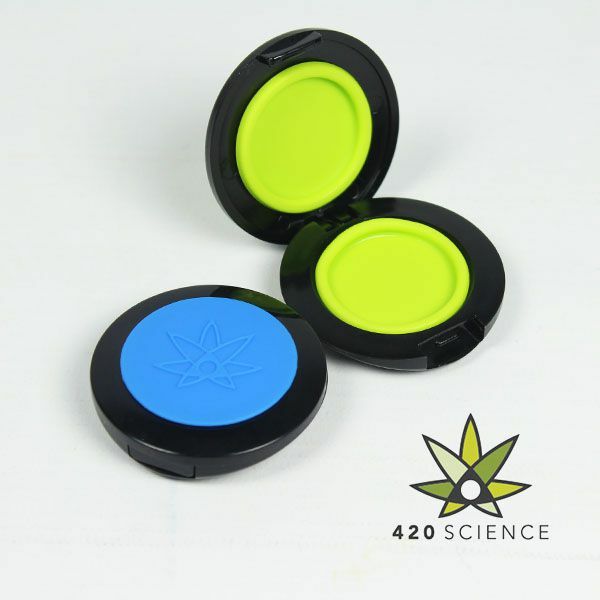 One of the products that have caught the eye of many of you is the 420 Wax Wallet, a hinged storage device that is lined with approved food grade silicone, designed to ensure that none of your product sticks to the lining of the container. With the low profile of the Wax Wallet, it measures only 12.5 mm high, this ensures it will fit neatly into your pocket or bag and you can be assured that your essential oils are kept the same as when you bought them. The Wax Wallet is discreet, lightweight, and durable and as it holds just one gram, just the right amount for a day trip. The hinged container lid is easily opened, and fits snugly together which will ensure that it will always keep your stuff in perfect condition. 420 Science set out to produce a totally unique way to store oils and waxes safe and sound; from our experience and the feedback that we have had from users that have bought this Wallet, they have certainly succeeded in doing that and is offered to you in two colours, Blue or Green.